Kerrin Hearfield: Nicola Marsh giveaway! My absolutely fav Mills and Boon author, Nicola Marsh, is doing a massive giveaway! 7 of her fabulous books!! 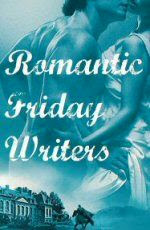 Visit her blog for entry details to get her awesome "fun flirty fiction with flare!" I have a few reviews of her books on my blog, so have a browse to find out why i like her stories! That was an amazing contest!! Wow!